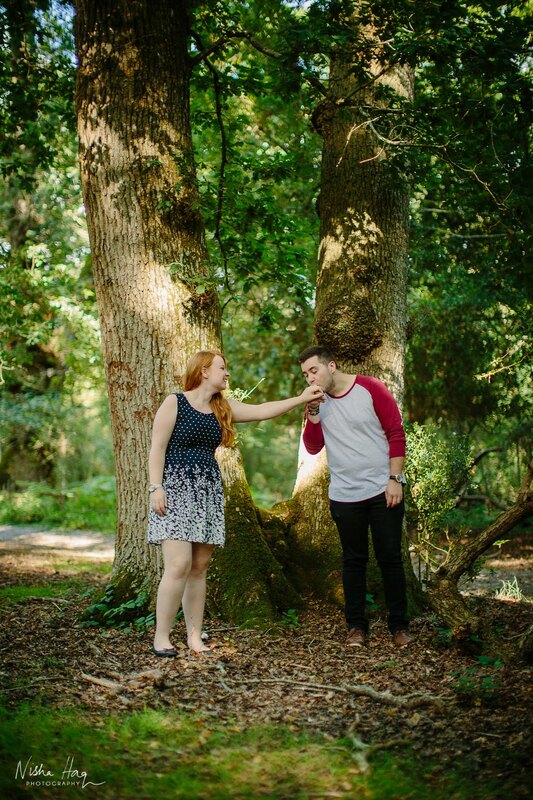 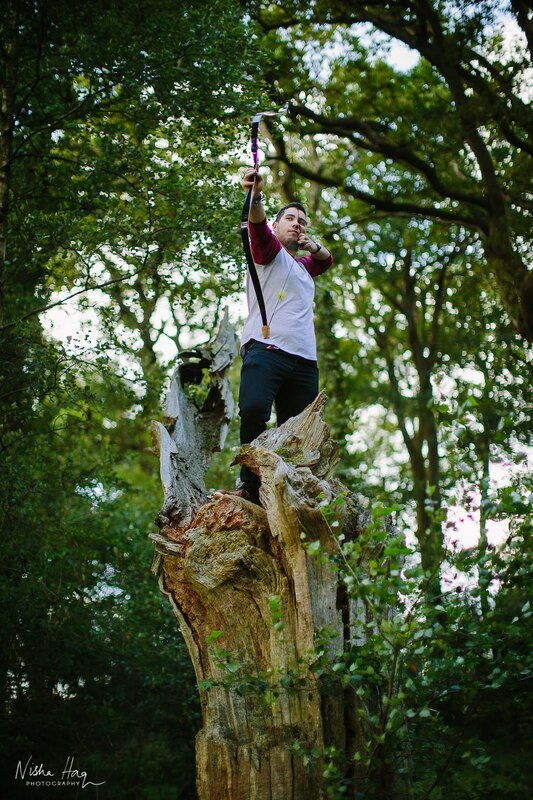 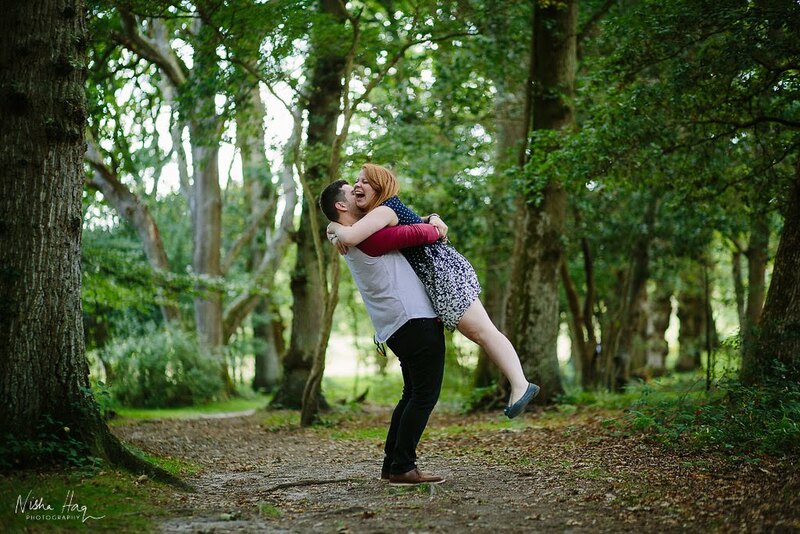 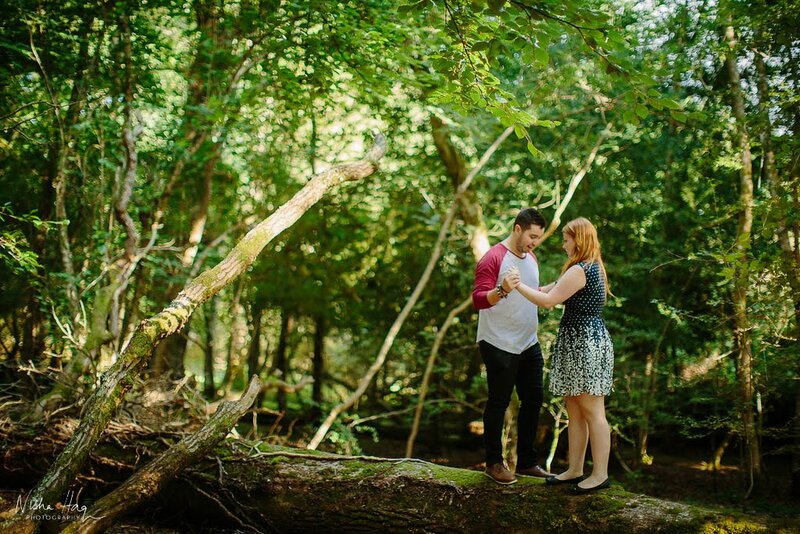 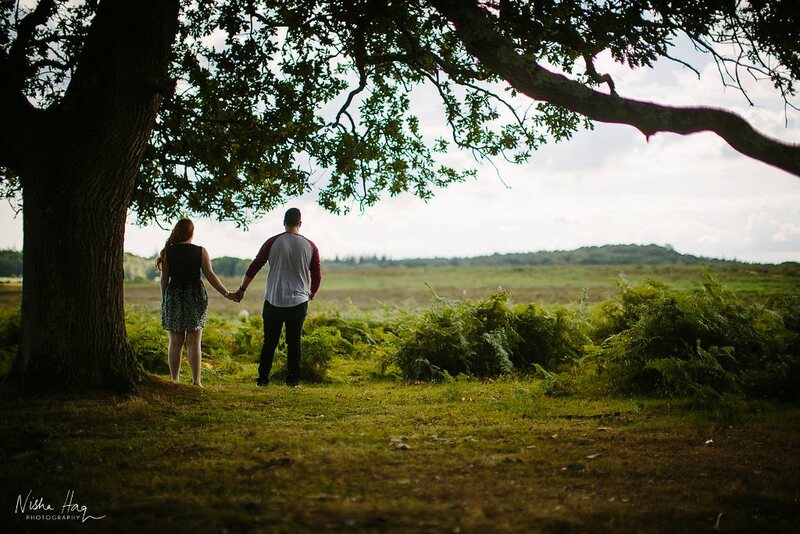 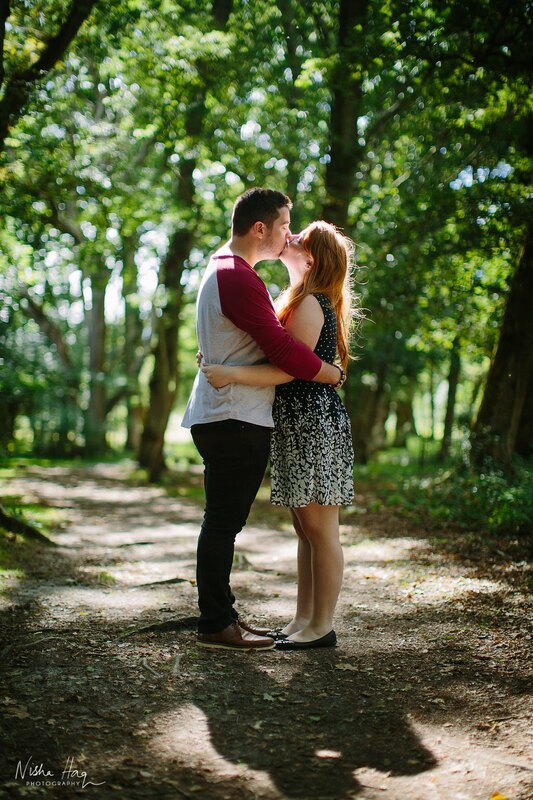 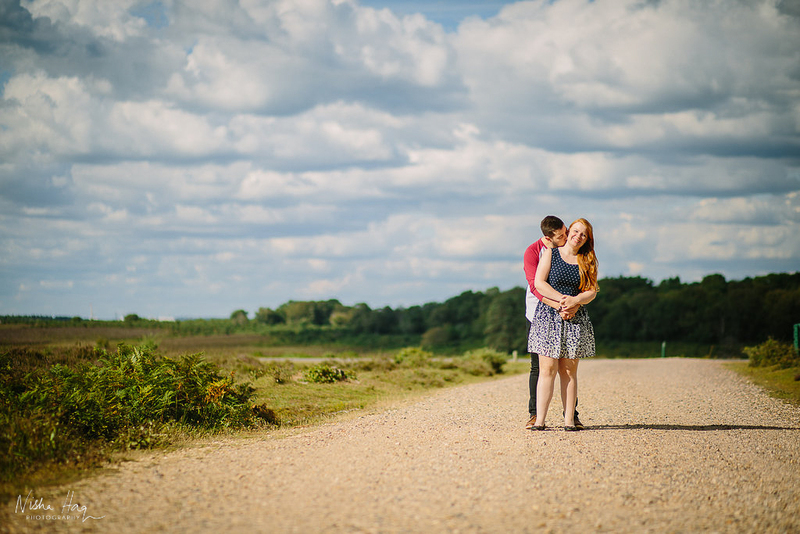 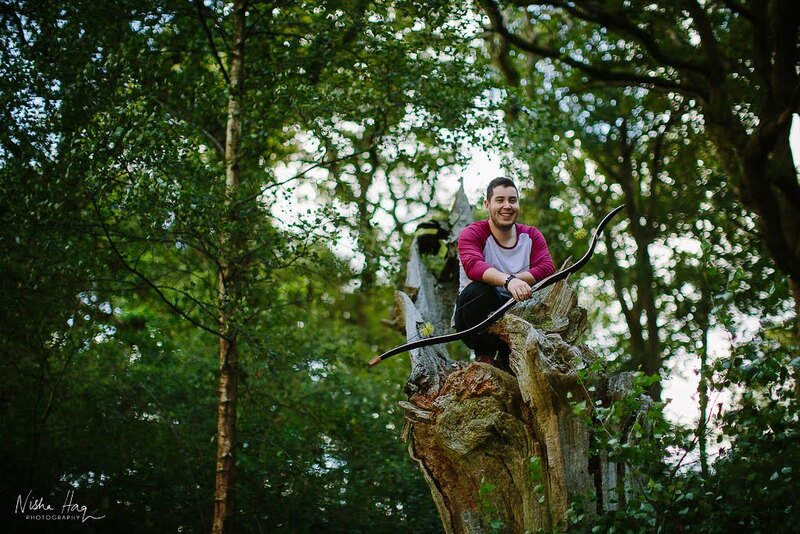 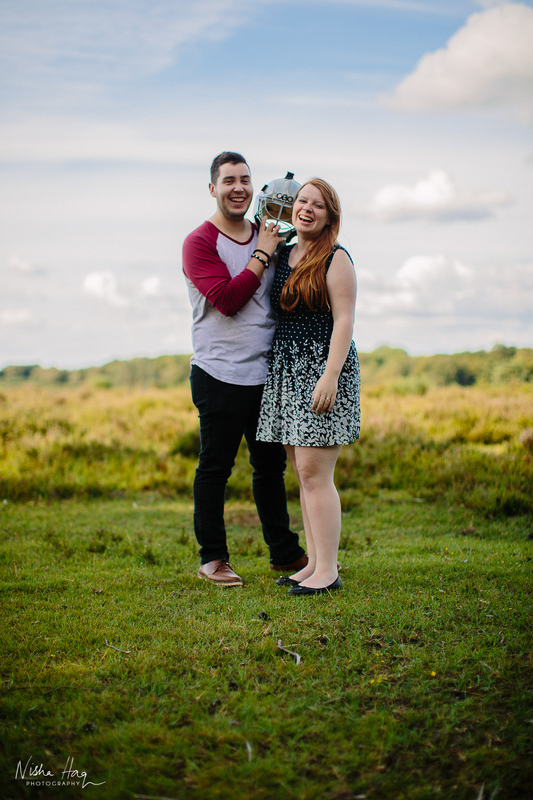 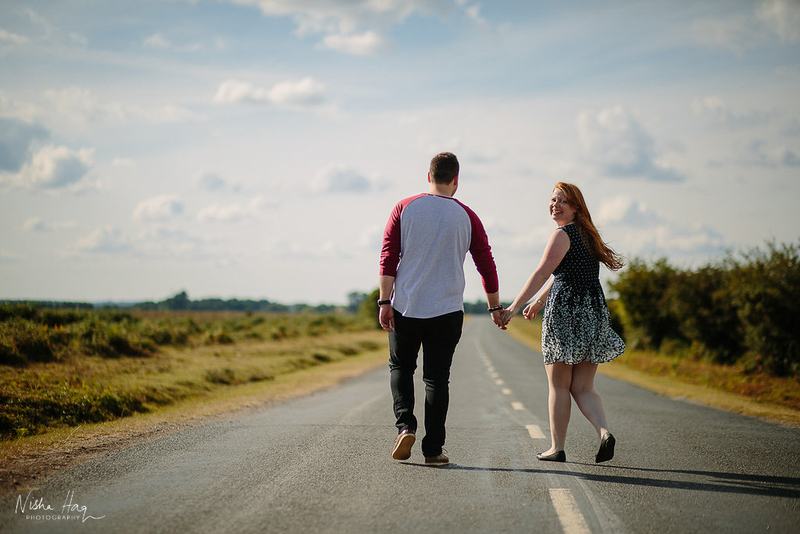 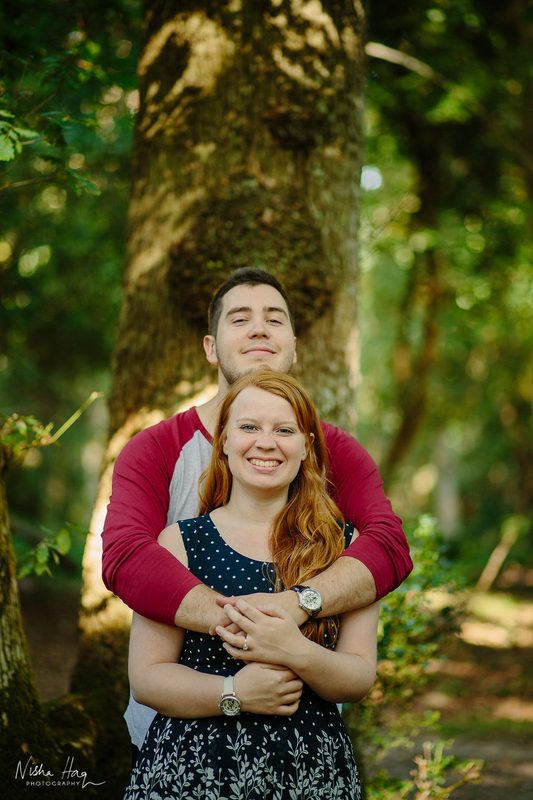 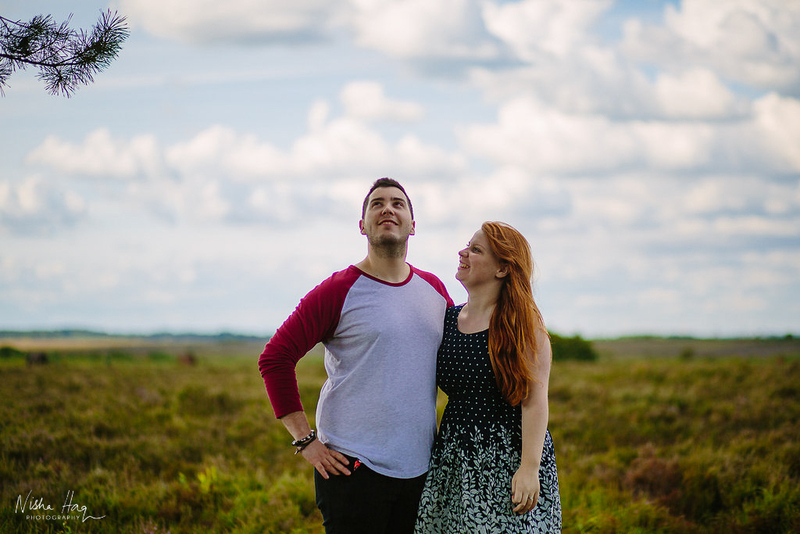 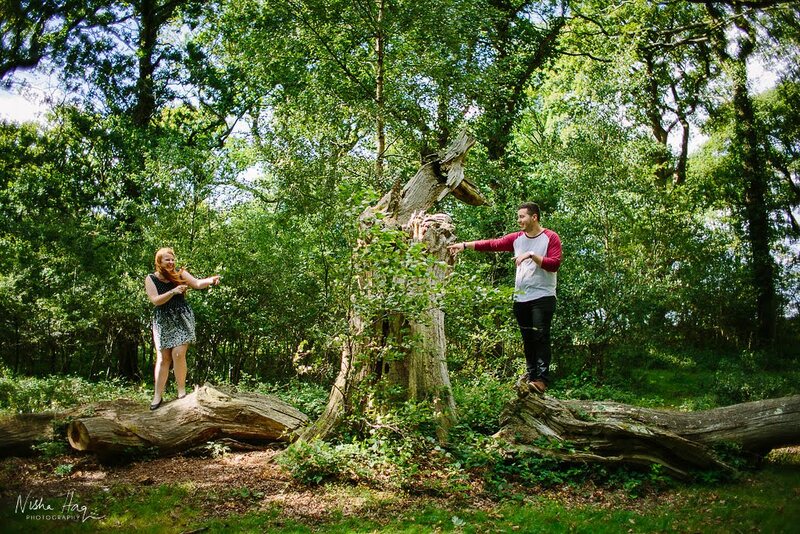 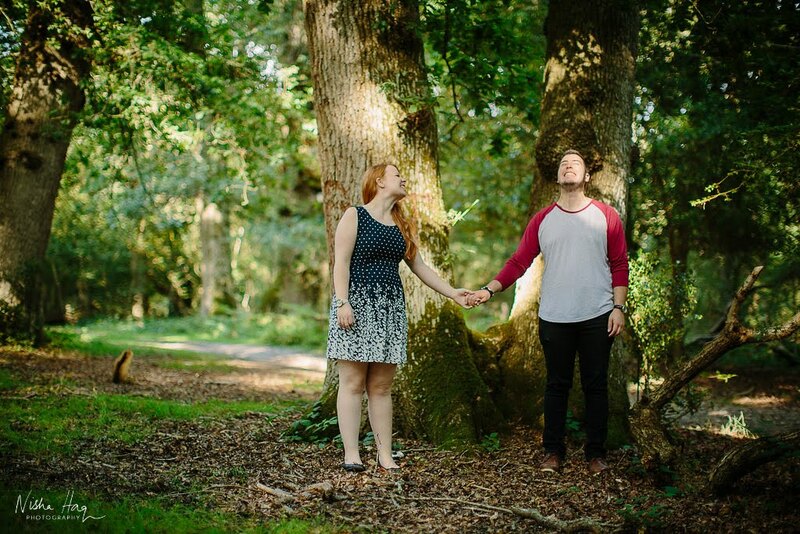 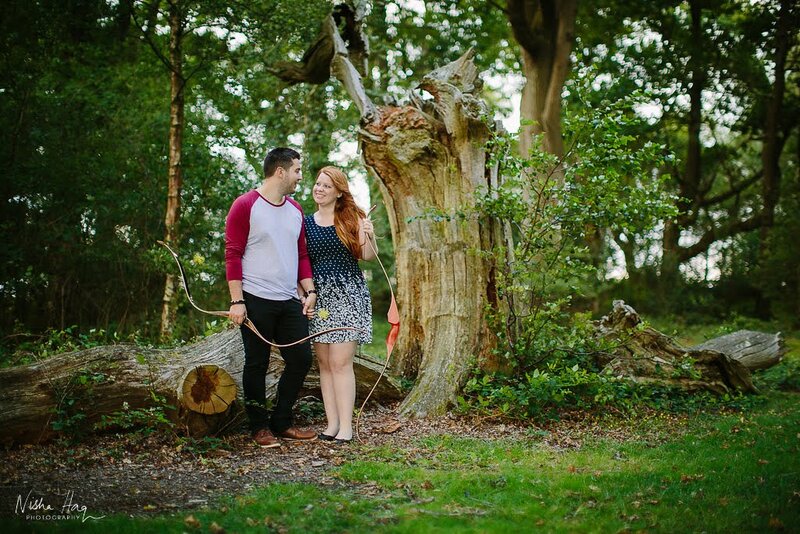 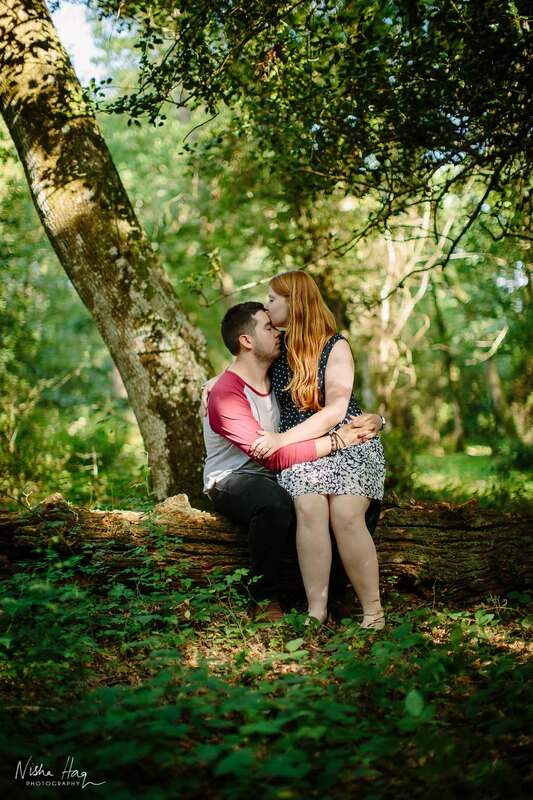 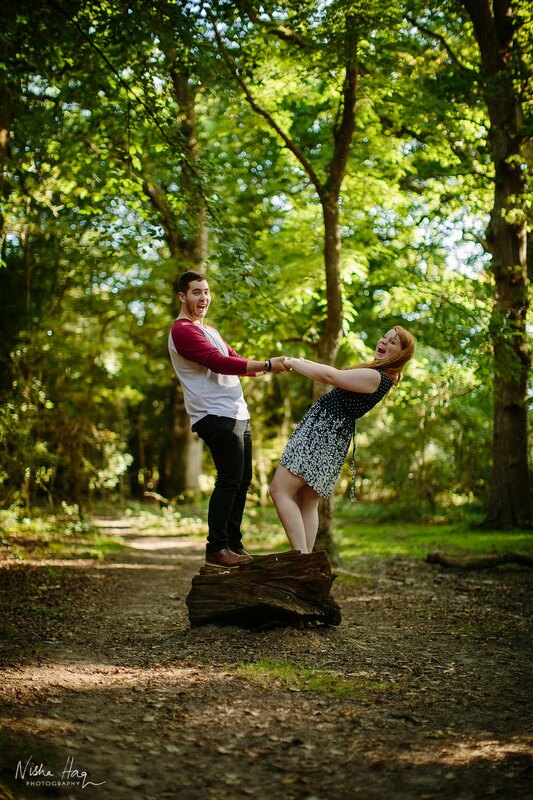 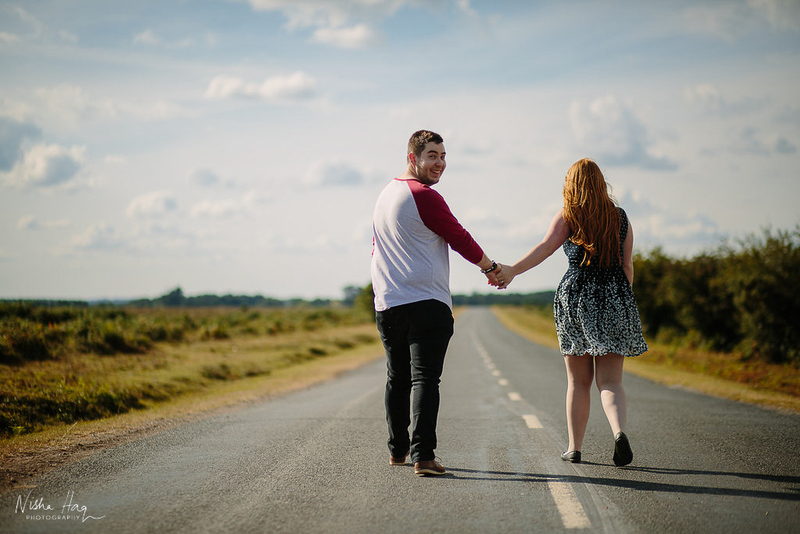 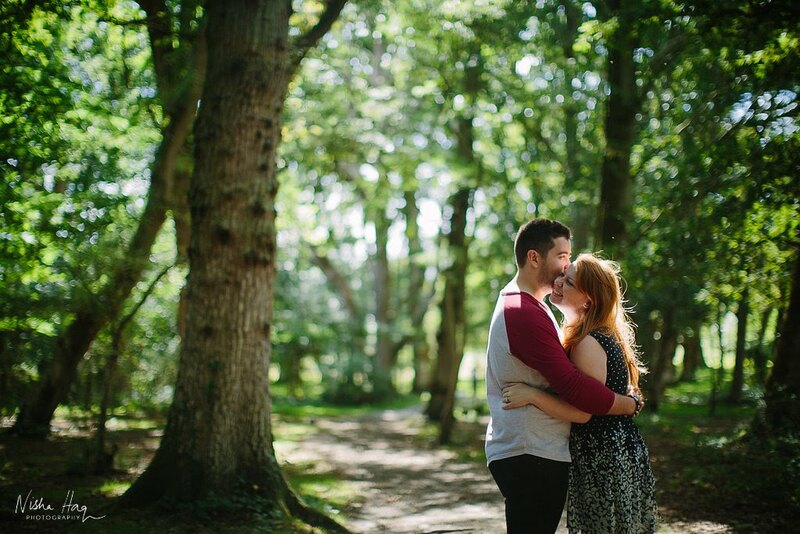 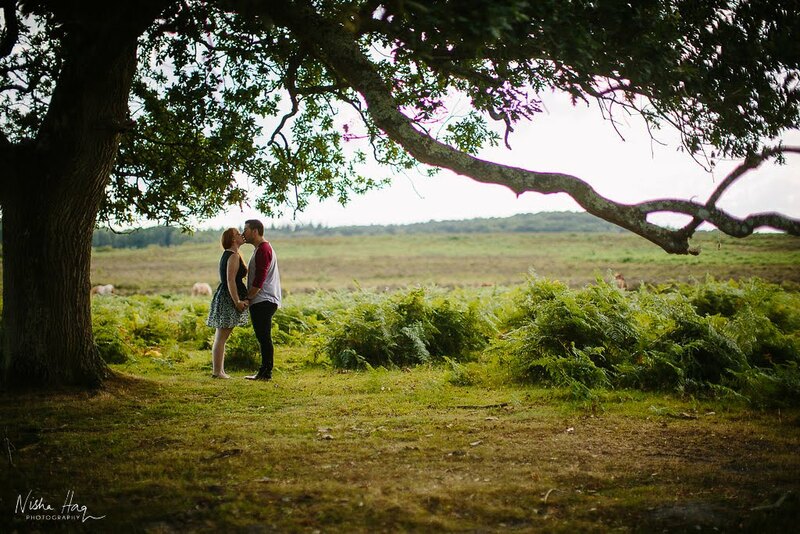 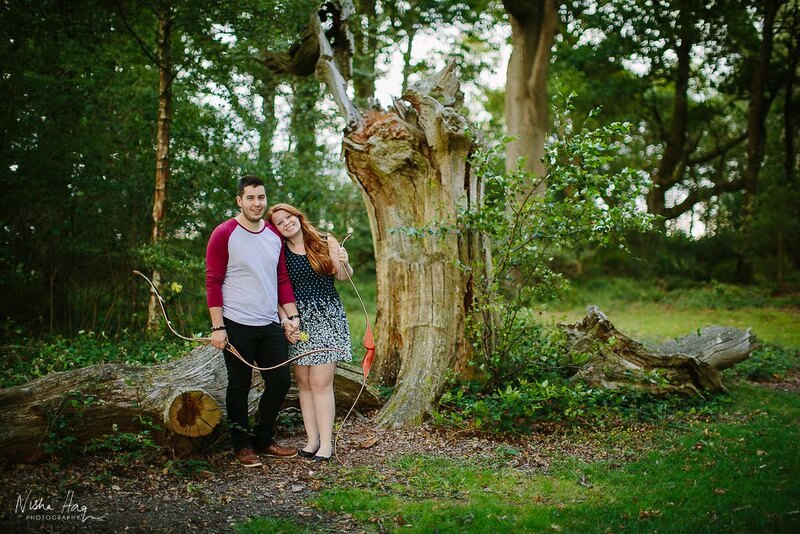 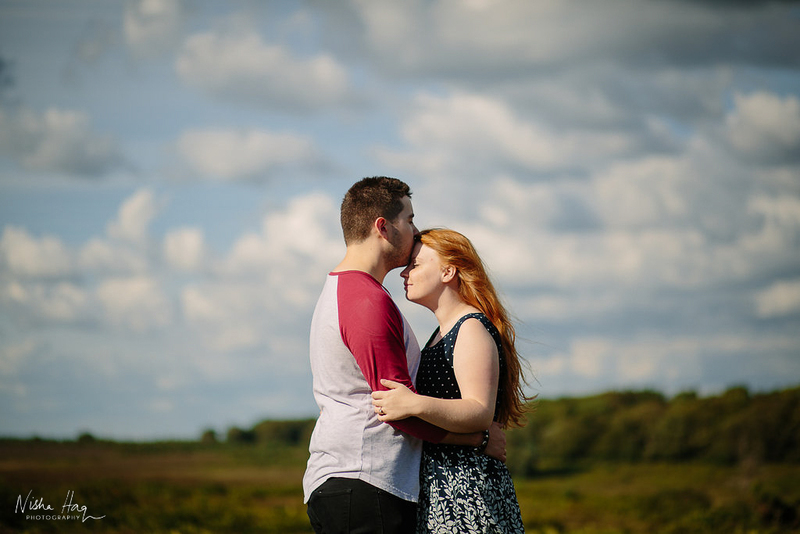 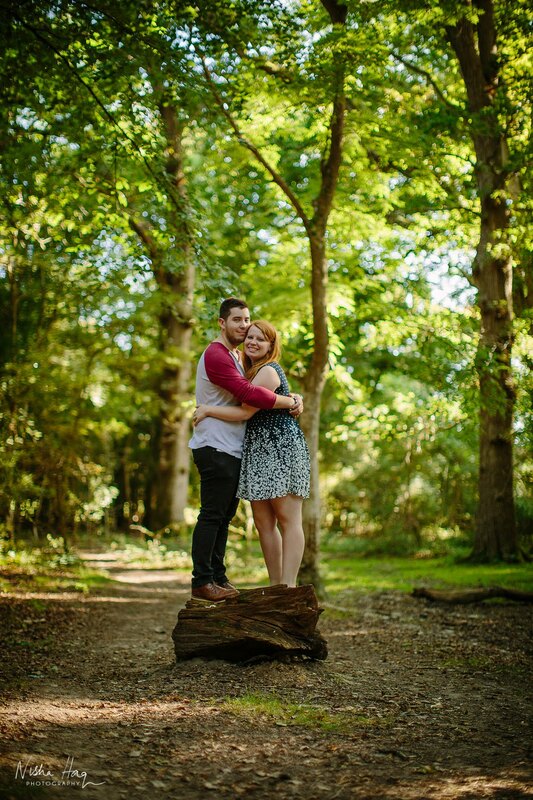 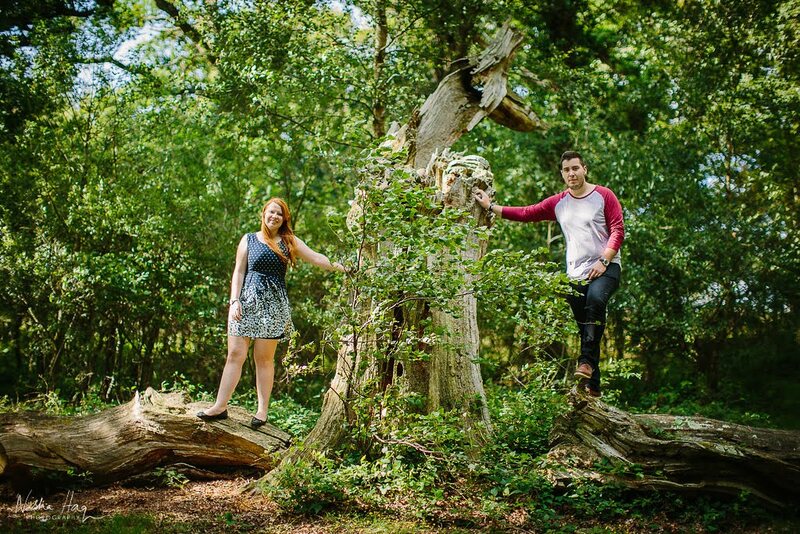 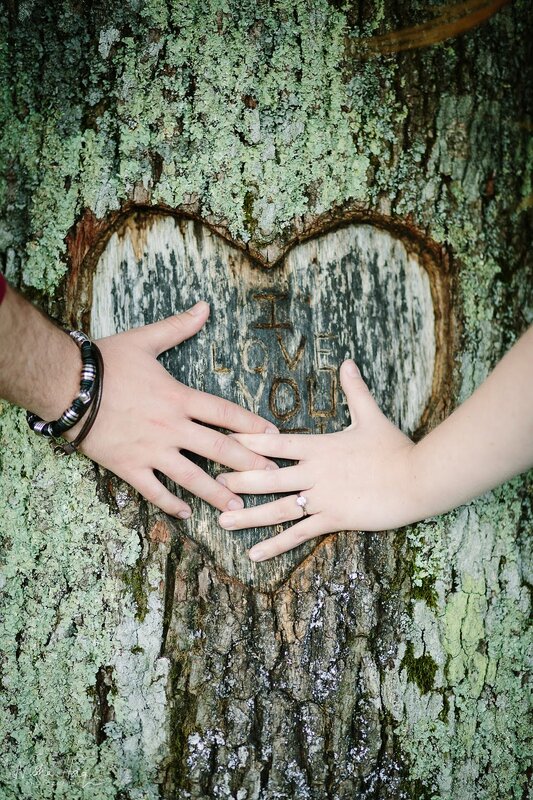 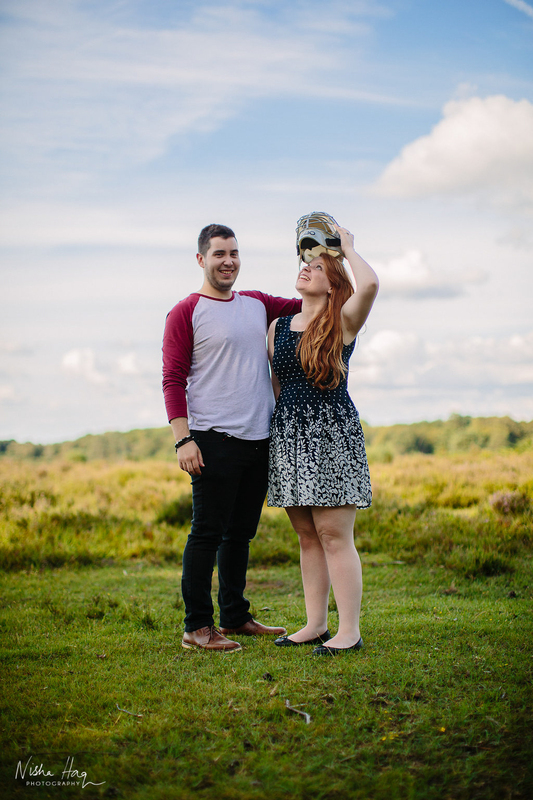 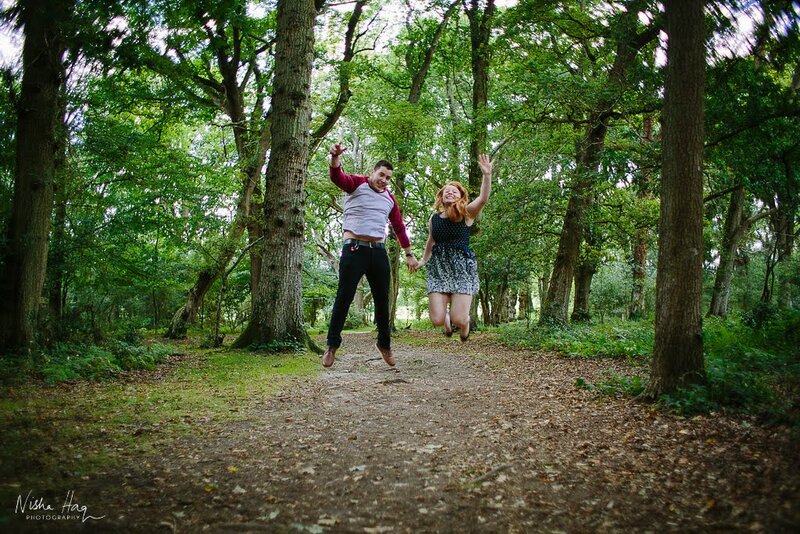 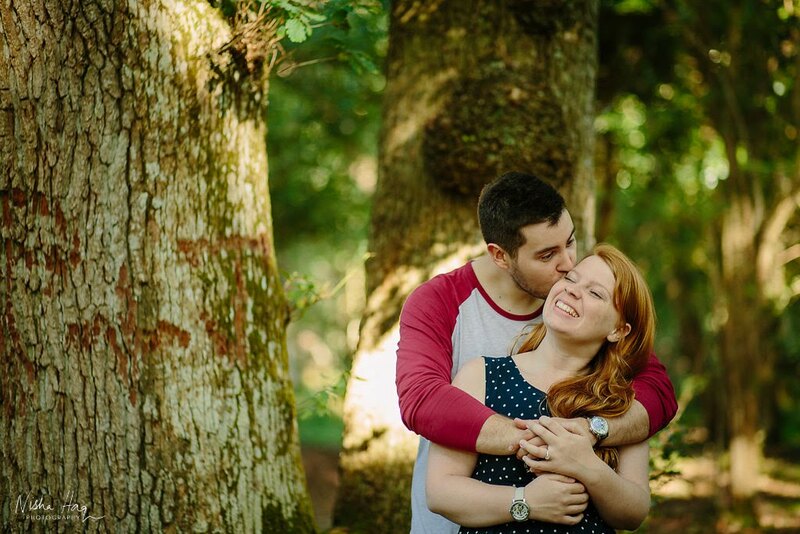 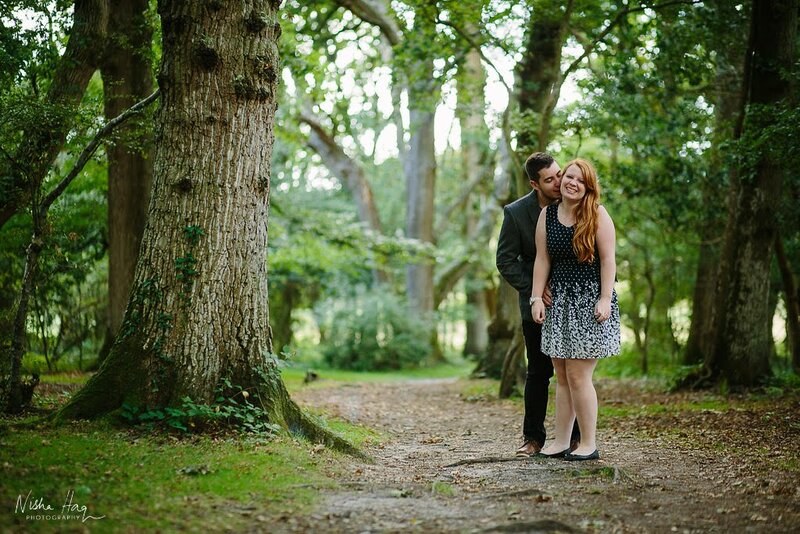 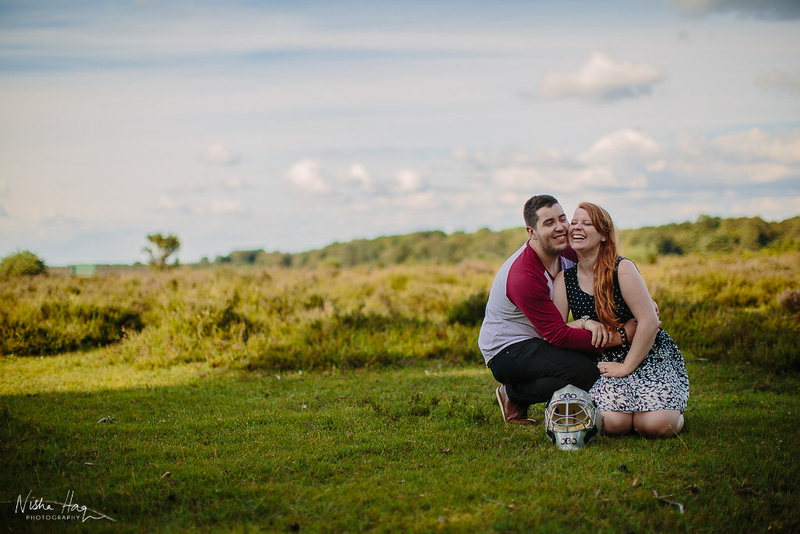 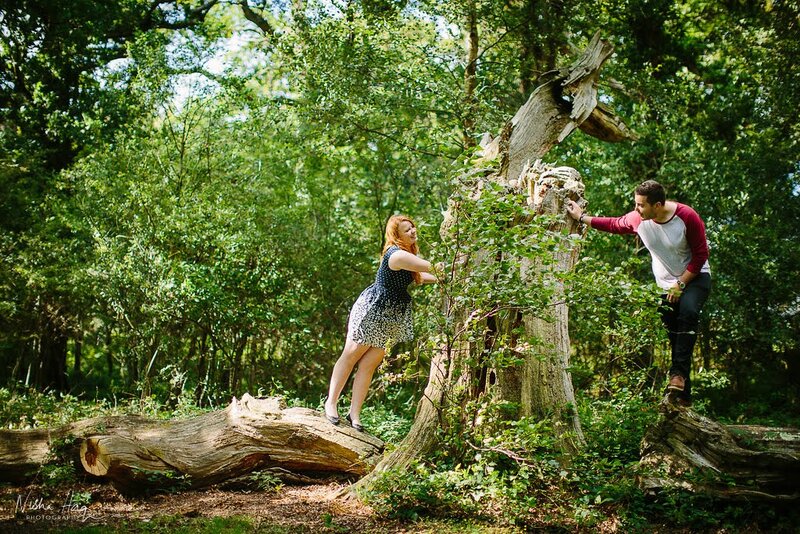 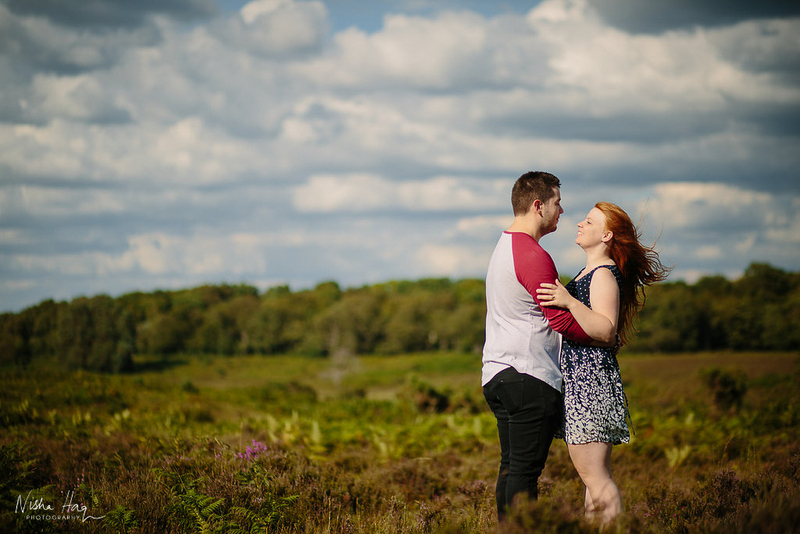 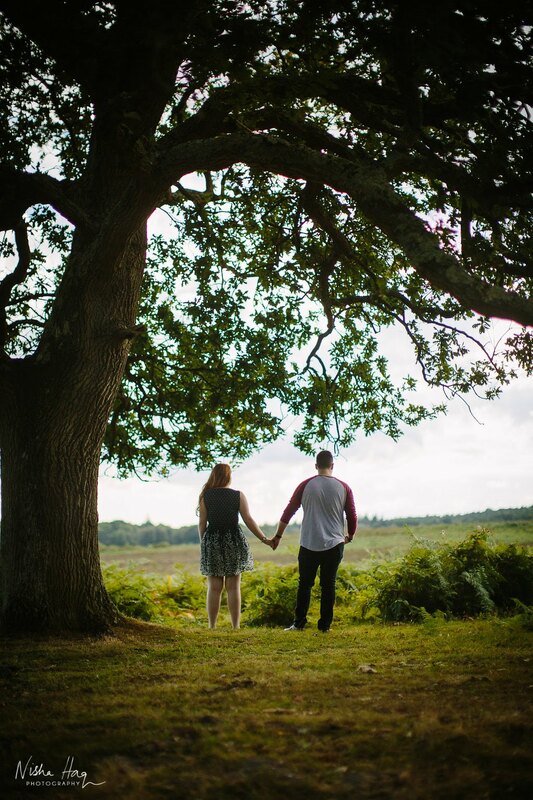 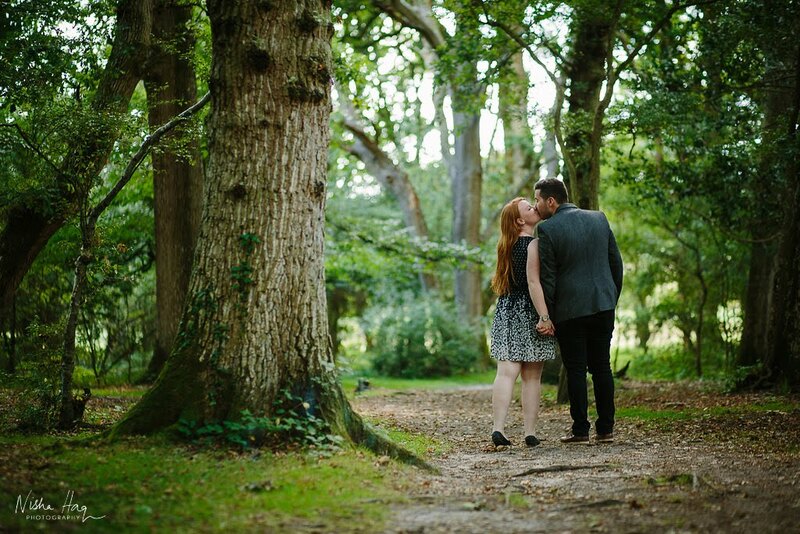 I especially couldn't wait to do their couple's shoot - even so as this was my first session in the New Forest. 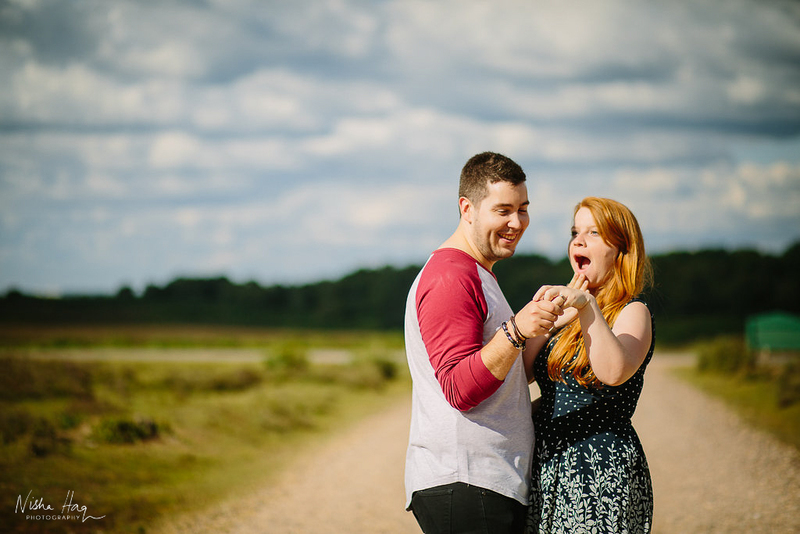 They look so good together and we had such a great laugh on this shoot! 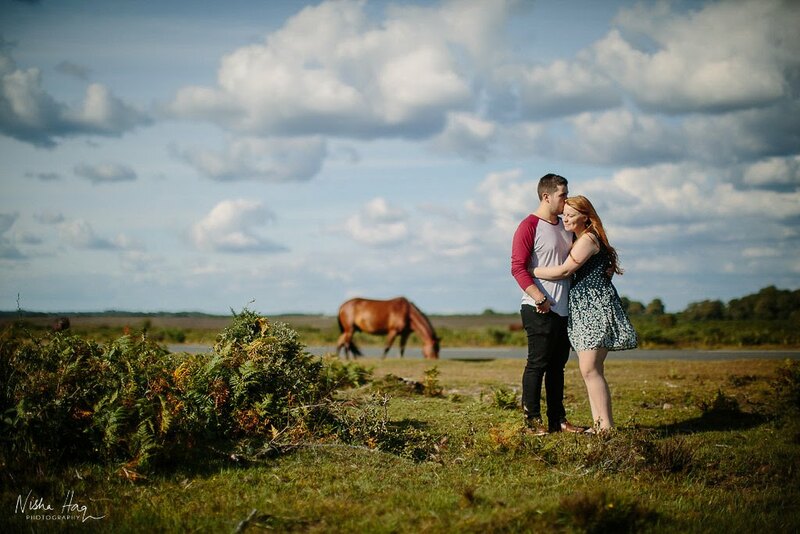 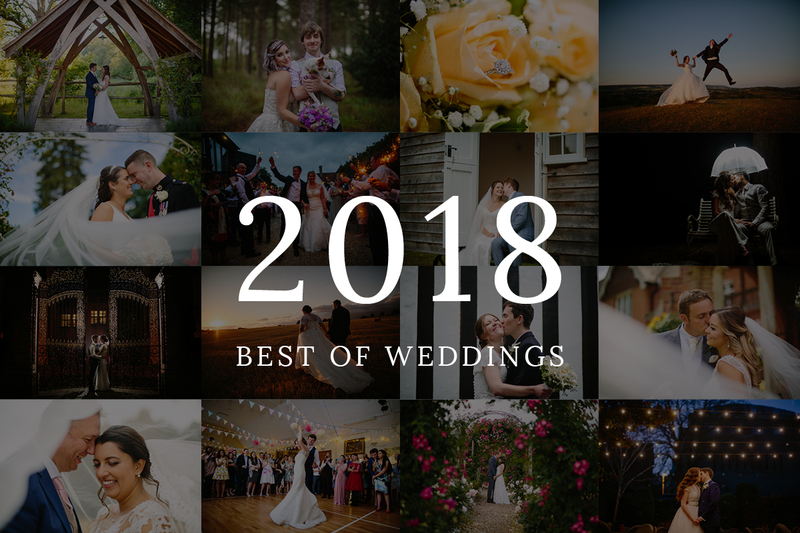 Hannah's infectious energy and Stu's upbeat personality really bring the photos to life - it's clear to see they're made for each other :D We couldn't have had a more gorgeous summer's day to for an afternoon session in the woods and with the New Forest ponies. 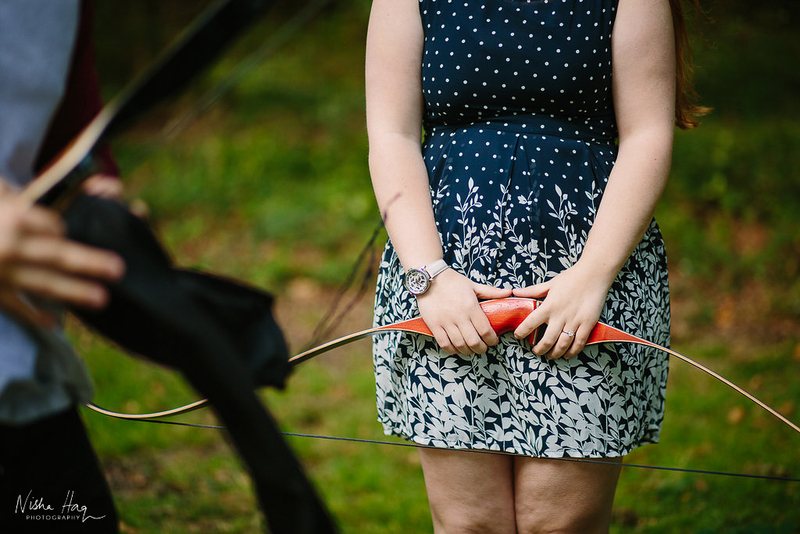 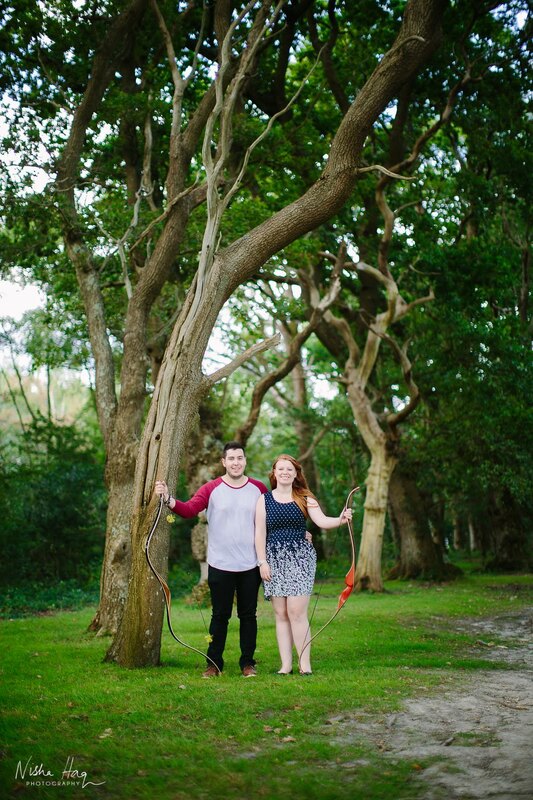 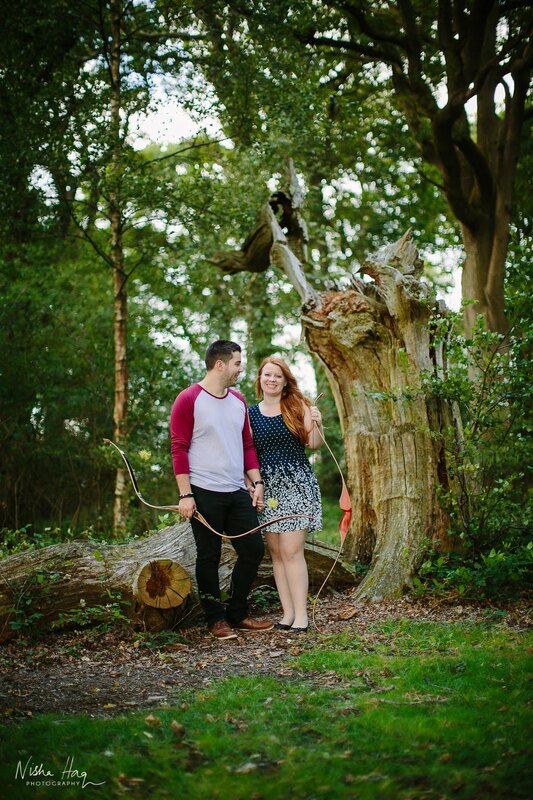 It was also a lovely surprise when Hannah & Stu got their bows and arrows out for the shoot. 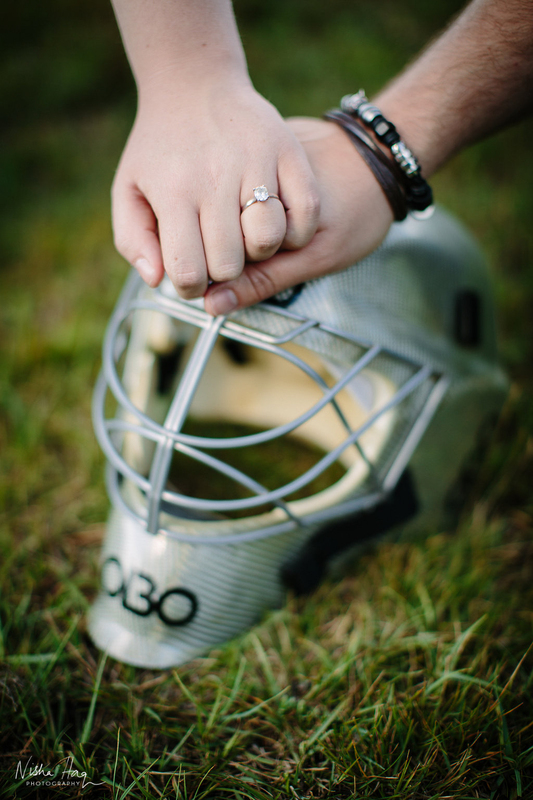 The fact they both do archery together is pretty unique and also their engagement ring shots with the hockey helmet is another favourite past time of theirs. 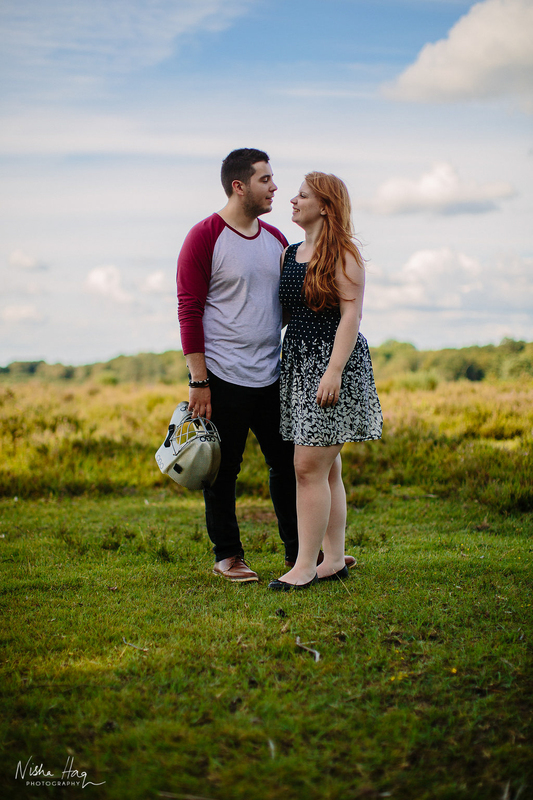 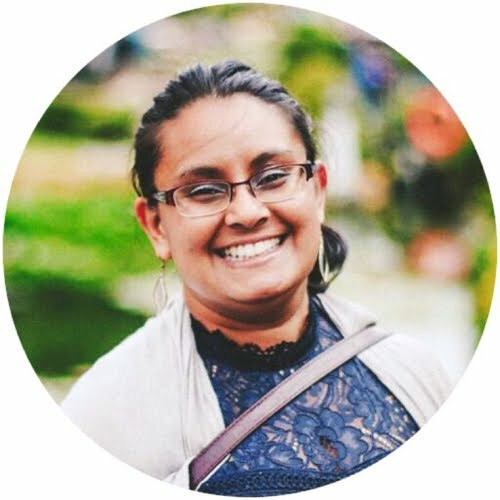 Meeting couples like this inspires you to try new hobbies and activities to go and do with your loved one. 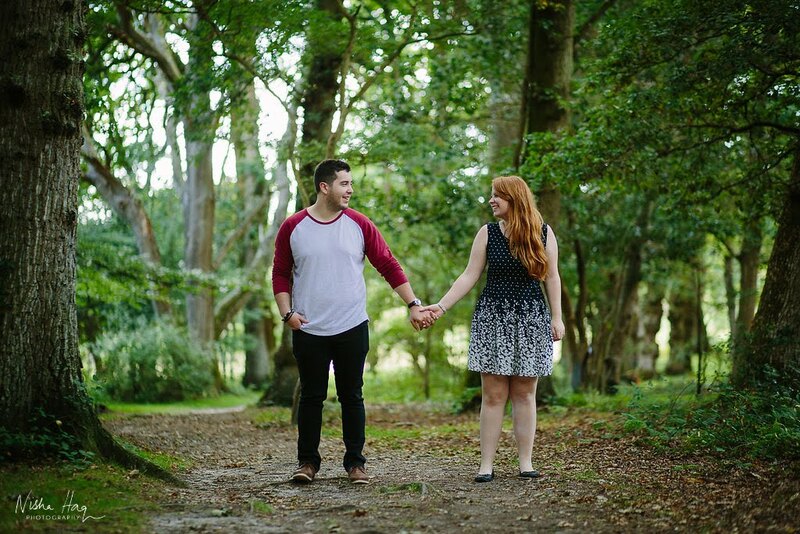 With Hannah's hen do is this weekend, and a month to go until their spring wedding at the Solent Hotel & Spa (lovely venue! 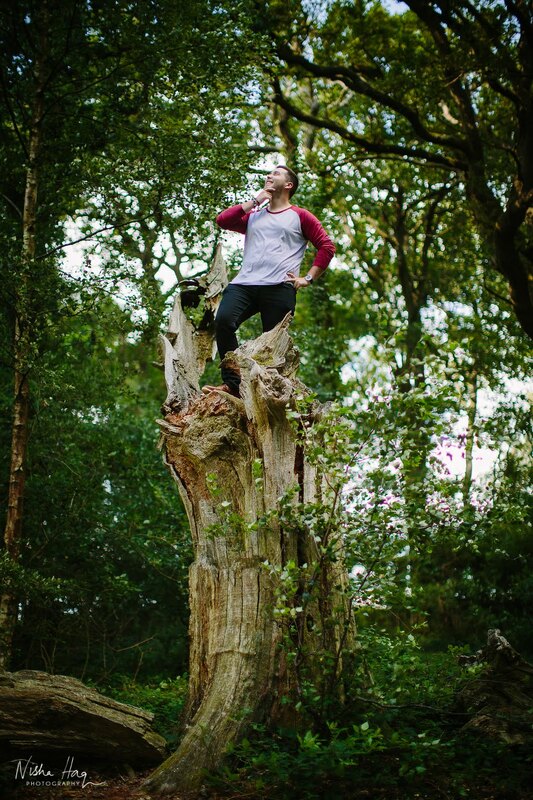 ), I know it's is going to be another epic day!